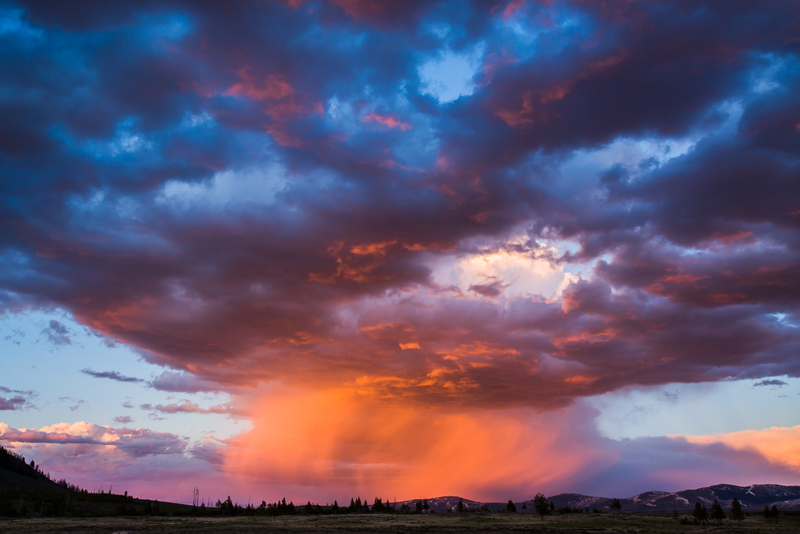 On coming rain storm catches the last light of the day in northern part of Yellowstone National Park. Spring rains bring fresh growth to the area nourishing those whom have survived the winter hardships. Photo © copyright by Lance B. Carter.